ASTANA. KAZINFORM - The First President of the Republic of Kazakhstan - the Leader of the Nation Nursultan Nazarbayev has held a phone talk with President of the Turkish Republic Recep Tayyip Erdogan, Kazinform has learnt from the Akorda's press service. 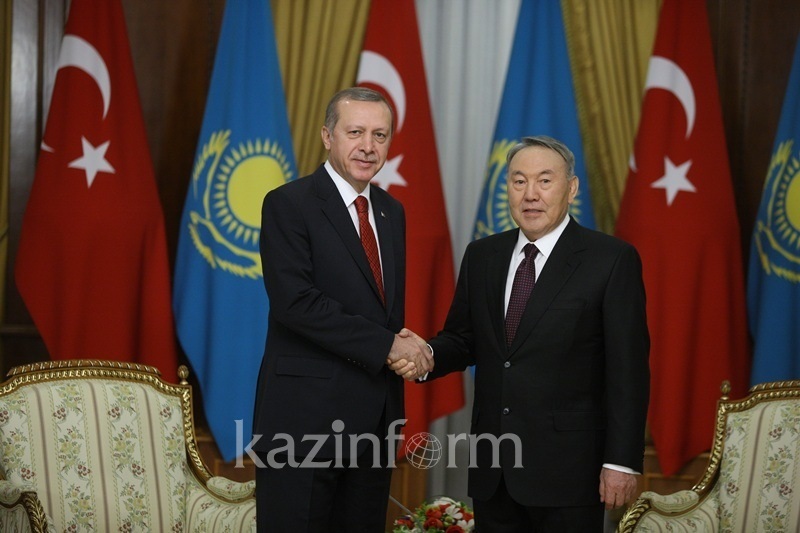 During the telephone conversation, the Turkish leader lauded Nursultan Nazarbayev's historical role in the formation and development of independent Kazakhstan. Recep Tayyip Erdogan stressed that the fraternal people of Turkey highly appreciate Kazakh First President's work as a prominent representative of the Turkic world and global-scale politician. He wished Nursultan Nazarbayev sound health and new success. The sides exchanged their greetings on the occasion of Nauryz holiday.